The North American International Auto Show (NAIAS), better known as the Detroit Auto Show, is one of the largest automotive shows in North America and annually features many national and worldwide introductions from the world’s most renowned auto manufacturers. Perennially held at Detroit’s Cobo Center, the 2014 NAIAS showcased the industry’s latest innovations to more than 800,000 attendees over the course of nine days. 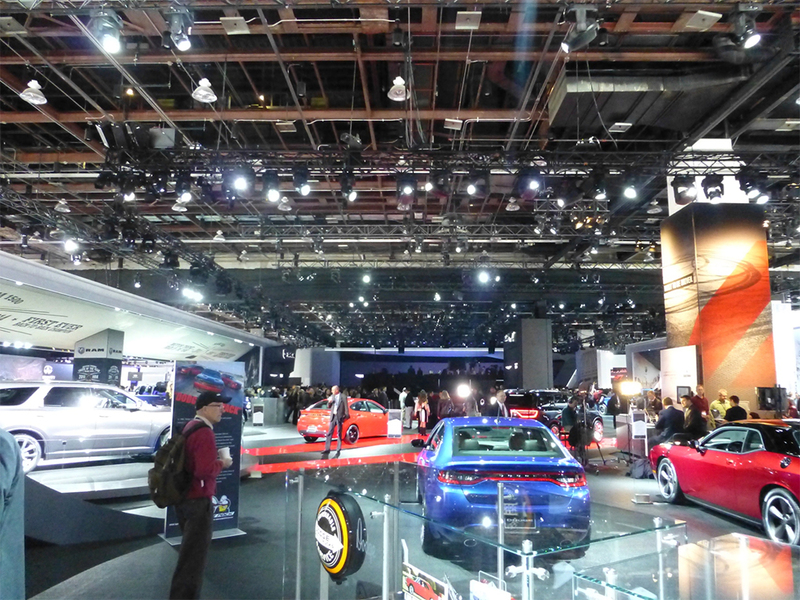 As a critical component of the show’s experience, over 1,400 of Martin Professional lighting fixtures were deployed by a number of leading production partners and lighting provider Christie Lites across the entire show, including booths for Chrysler, Nissan, Infiniti, Ford, Lincoln, Acura, Volvo, and more. Milmer also used Martin’s MAC III for gobo projection to create interesting animation and morphing effects across the booths. Additionally, Martin’s MAC 700 Wash lights were deployed to help light the Mustang display area that consisted of a large interactive presentation. “We simply used the MAC 700s to provide a bit more punch and drama in this area of the booth,” stated Milmer. “These fixtures are very compact for their output and they were able to fit comfortably on our custom truss,” Milmer said. Additionally, Martin’s MAC Viper Profile, MAC Viper Wash DX and MAC 2000 Wash XB fixtures were deployed on the Mercedes booth for feature car lighting. The Porsche booth also featured Martin’s MAC 2000 Wash luminaires.